Pieris confronts two of the most urgent and complex questions facing Christians today - so many poor people and so many religions. 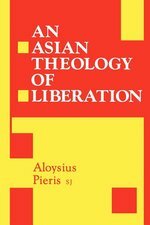 He believes that the approaches of the Christian Churches to these questions will determine whether Christianity will continue to have any relevance for Asia or not. Beads and Strands, a selection of classic writings by the Ghanaian theologian, gathers a wealth of insights under three topical headings: Africa and Redemption; Global Issues in African Perspective, and Women, Tradition, and the Gospel in Africa. In her work Oduyoye brings Akan and other African traditions into correlation with Biblical stories, showing how AFrican wisdom offers a new and deeply spiritualy perspective into its timeless episodes and theme. Above all Bead and Strands offers access to how one of contemporary Africa's most noted women theologians sees the status and role of women in Africa today. This in-depth study of Newbigin's thought brings into clear view the "theology of cultural plurality" nascent in Newbigin's writings and demonstrates its importance for today's church. 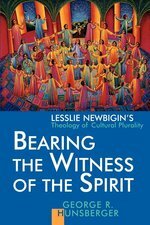 Interacting closely with Newbigin's published and unpublished works, Hunsberger describes Newbigin's biblical rationale for the life and witness of the church in a culturally plural world. By teasing out Newbigin's thinking in this realm, Hunsberger gives shape to a theological area of inquiry and reflection badly needed for fruitful discussions of cross-cultural mission and ecumenism. Bordering all but two of South America's other nations and by far Latin America's largest country, Brazil differs linguistically, historically, and culturally from Spanish America. Its indigenous peoples share the country with descendants of Portuguese conquerors and the Africans they imported to work as slaves, along with more recent immigrants from southern Europe, Japan, the Middle East, and elsewhere. Capturing the scope of this country's rich diversity and distinction as no other book has done--with more than a hundred entries from a wealth of perspectives--The Brazil Reader offers a fascinating guide to Brazilian life, culture, and history. Complementing traditional views with fresh ones, The Brazil Reader's historical selections range from early colonization to the present day, with sections on imperial and republican Brazil, the days of slavery, the Vargas years, and the more recent return to democracy. They include letters, photographs, interviews, legal documents, visual art, music, poetry, fiction, reminiscences, and scholarly analyses. They also include observations by ordinary residents, both urban and rural, as well as foreign visitors and experts on Brazil. Probing beneath the surface of Brazilian reality--past and present--The Reader looks at social behavior, women's lives, architecture, literature, sexuality, popular culture, and strategies for coping with the travails of life in a country where the affluent live in walled compounds to separate themselves from the millions of Brazilians hard-pressed to find food and shelter. Contributing to a full geographic account--from the Amazon to the Northeast and the Central-South--of this country's singular multiplicity, many pieces have been written expressly for this volume or were translated for it, having never previously been published in English. This second book in The Latin America Readers series will interest students, specialists, travelers for both business and leisure, and those desiring an in-depth introduction to Brazilian life and culture. An account of the Revival of the Methodist church in Russia - and the situation out of which it was brought back to life. Filled with images we have come to expect (food lines, passport hassles, travel nightmares) and observations that might surprise us (the whispers of schoolchildren about their cherished Easter traditions, the use of Christian names in generation after generation of Russian people). When Lydia Istomina became the pastor of a small United Methodist congregation, she brought with her a past she was only beginning to understand. But very quickly the spark of that congregation began to glow, and the church was growing and responding to familiar needs and Challenges - prison ministry, school, special education. The story she tells is gripping, heartwarming, realistic, and filled with hope. This fascinating book introduces the mysterious and extraordinary world of Celtic Christianity. Timothy Joyce, a Benedictine monk of Irish descent, evokes the distinctive spirituality that drew on pre-Christian beliefs and culture. He shows how this style of Christianity changed, was subordinated, and gave way to the larger Roman church, and yet how elements endured. Finally, he explores what Celtic spirituality has to offer today to the church as well as spiritual seekers. Celtic spirituality is holistic -- a joyful, mystically-inclined spirituality that affirms the goodness of creation, urges respect for women's gifts, and finds expression in poetry, myth, and song. Joyce recounts the heroic stories of such saints as Patrick, Bridget, Columcille, and Columba. But he goes beyond other treatments to explore how this tradition was gradually subsumed by a more rigid style of "Irish Catholicism, " and he reflects on the centuries of suffering that have left an indelible mark on the Irish consciousness and spirit. Yet ultimately Joyce shows how the recovery of this ancient tradition of Christianity might rejuvenate the church and contribute to spiritual renewal today. 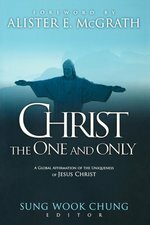 Learn about the uniqueness of Jesus Christ as Lord within a pluralistic, rapidly globalizing world. Robert Frykenberg's insightful study explores and enhances historical understandings of Christian communities, cultures, and institutions within the Indian world from their beginnings down to the present. As one out of several manifestations of a newly emerging World Christianity, in which Christians of a Post-Christian West are a minority, it has focused upon those trans-cultural interactions within Hindu and Muslim environments which have made Christians in this part of the world distinctive. It seeks to uncover various complexities in the proliferation of Christianity in its many forms and to examine processes by which Christian elements intermingled with indigenous cultures and which resulted in multiple identities, and also left imprints upon various cultures of India. Thomas Christians believe that the Apostle Thomas came to India in 52 A.D./C.E., and that he left seven congregations to carry on the Mission of bringing the Gospel to India. In our day the impulse of this Mission is more alive than ever. Catholics, in three hierarchies, have become most numerous; and various Evangelicals/Protestant communities constitute the third great tradition. With the rise of Pentecostalism, a fourth great wave of Christian expansion in India has occurred. Starting with movements that began a century ago, there are now ten to fifteen times more missionaries than ever before, virtually all of them Indian. 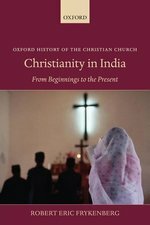 Needless to say, Christianity in India is profoundly Indian and Frykenberg provides a fascinating guide to its unique history and practice. This classic work tells the story of a missioner and what he learned of God among the Masai of Tanzania. Includes essays by Eugene Hillman and Lamin Sanneh as well as a personal reflection by the sister who knew the author best. 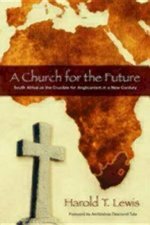 Featuring essays from a broad range of contributors this book is a treasure for anyone interested in theological reflection from an African perspective and is a necessary resource for theologians and scholars working in a church that is steadily moving its center to the Global South. 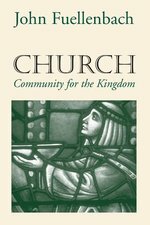 Integrating missiology and ecclesiology in a vision of a church in mission made up of all the world's peoples, Fuellenbach explores the church's life as worshiping community, as communion, as Body of Christ working to make the world reflect Kingdom values. Christian mission takes place today in the context of a pluralistic world, one in which the adherents of the various religious traditions are increasingly aware of and in dialogue with one another. What is needed now, argues Thangaraj, is an understanding of Christian mission that has for its starting point a moral imperative shared by all the world's religions. The author finds this common task in what he calls the mission of humanity: those obligations to one another and the world which all humans share. For Christians the common task will be a cruciform one; it will display the self-sacrifice and vulnerability of the cross, rather than the grasping after power and influence of the world. It will be a liberative reality, marked by the gospel's concern for the poor and oppressed. Finally, the mission of humanity will be for Christians eschatological in nature, formed by a vision of the fullness of the reign of God which is both present now and yet to come. Having established this specifically Christian interpretation of the common task, Thangaraj goes on to ask how it can inform our reading of Scripture and our understanding of Christian missions, and how it can motivate Christian congregations for mission today. How do we make the gospel clear and the church relevant to the changing culture in North America? In Confident Witness - Changing World, twenty-two scholars and skilled ministry practitioners explore this complex question not only theoretically but also in practical terms immediately useful to pastors and church leaders. Designed to serve as a springboard for group discussion or for deeper study of the subjects covered, this volume will be a valuable resource for those currently working on the front lines of ministry. 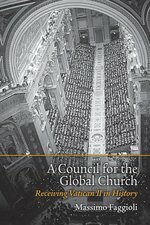 The Second Vatican Council ended in December 1965, but Vatican II is still happening in the global church. Catholicism has always had a universal claim, but the globalization of Catholicism as a truly world church became part of Catholic theology only thanks to that gatheringdecided by St. John XXIIIof bishops, theologians, lay observers, ecumenical representatives, and journalists. Vatican II is the most important event in church history after the Reformation and the Counter-Reformation, and it is the key to understanding Catholicism and its inner tensions today. On the night of August 17, 1823, the distinctly African sounds of blaring shell-horns and beating drums signalled the start of one of the most massive slave rebellions in the history of the Western hemisphere, the uprising in the British colony of Demerara (now Guyana). That evening, nine to twelve thousand slaves surrounded the main houses of about sixty plantations, armed with cutlasses, knives fastened on poles, and guns. They broke down doors, smashed windows, commandeered arms and ammunition, and put their masters and overseers in the stocks. Intent on avoiding a blood bath (over three days of fighting, colonial forces took the lives of more than 255 slaves, while only two or three white men were killed), the rebels spoke of "rights," and planned to present their grievances to the governor. For a few days, the slaves succeeded in turning the world upside down, treating masters the way masters had always treated slaves. Retaliation from colonial officials would be swift, bloody, and brutal. In Crowns of Glory, Tears of Blood Emilia Viotti da Costa tells the riveting story of a pivotal moment in the history of slavery. Studying the complaints brought by slaves to the office of the Protector of Slaves, she reconstructs the experience of slavery through the eyes of the Demerara slaves themselves. Da Costa also draws on eyewitness accounts, official records, and private journals (most notably the diary of John Smith, one of four ministers sent by the London Missionary Society to convert Demerara's "heathen"), to paint a vivid portrait of a society in transition, shaken to its foundations by the recent revolutions in America, France, and Haiti. Smith and his wife, Jane, the planters andcolonial politicians, and the leaders of the rebellion emerge as flesh-and-blood individuals, players trapped in a complex political game none of them could fully understand. Constructs a Christology using the guru as a paradigm for understanding the person and work of Christ. 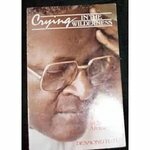 Speeches and other writings document Tutu's influence on events in South Africa. Providing an analysis of the lives of African women today from an African woman's perspective, this is the study of the influence of culture and religion on African women's lives. Oduyoye illustrates how myths, proverbs and folk tales operate in the socialization of young women, working to preserve the norms of the community.